Previously we’ve discussed finding the right communication interoperability tools for the industrial IoT community. However, companies in every industry have to evaluate new solutions based on how they work with their legacy systems. The new application must have the ability to communicate with new and legacy systems, whether it be off-the-shelf ready or a customized script that is developed in-house. Either option has its own challenges which typically relate back to the constraints of a project’s decision triangle. You have probably heard the adage, “Fast, good or cheap. Pick two.” It’s a lighthearted interpretation of balancing a project’s time to completion, cost and quality (or scope). There is now a new way to handle the project triangle evaluation. It is from Metavine and based on the CalAmp Telematics Cloud™ (CTC). It will help streamline the process of developing your own IoT telematics dashboard with little to no coding required. 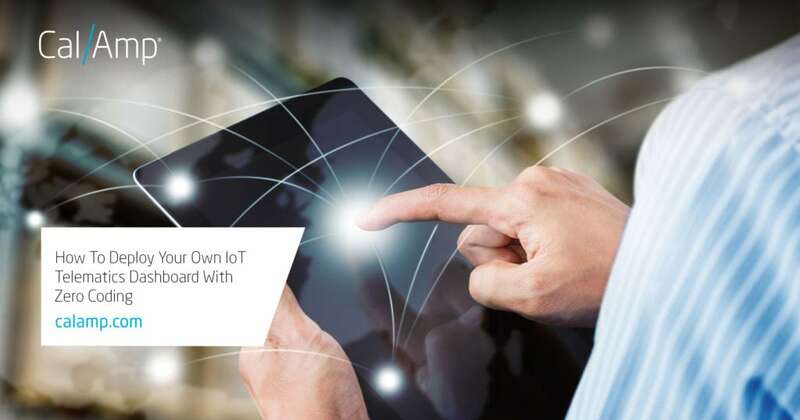 This tool allows for rapid application development (RAD) so you can keep pace with the seemingly insatiable demand for smart and connected things. Metavine Genesis offers your company a way to develop applications by automating many tasks and eliminating the need to have an in depth knowledge of coding. This solution integrates with CTC, a cloud-based application service enablement platform, to provide an interface for communicating with fixed and remote systems and assets. By implementing a RAD mentality, your business can remain agile. With this new development tool, you can remove the project triangle decision constraints. Instead, you will be able to create and deliver customer solutions quickly and inexpensively.